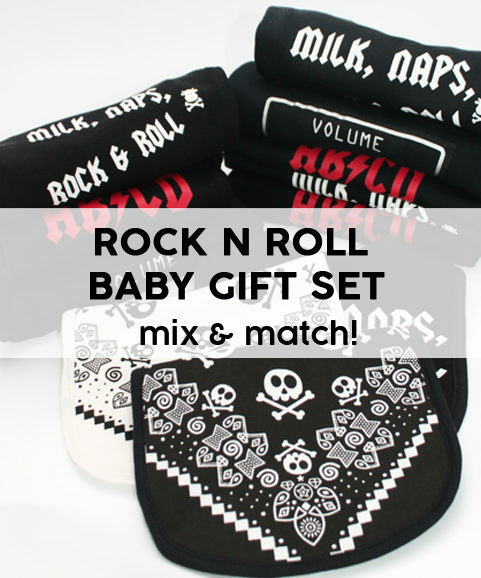 If you’re looking for a funny baby gift this gobsmackingly cheeky baby gift set is sure to instantly leave others with a knowing smile or a little gasp. 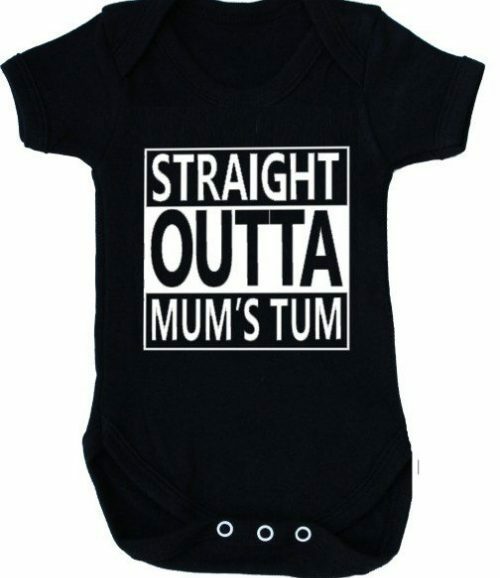 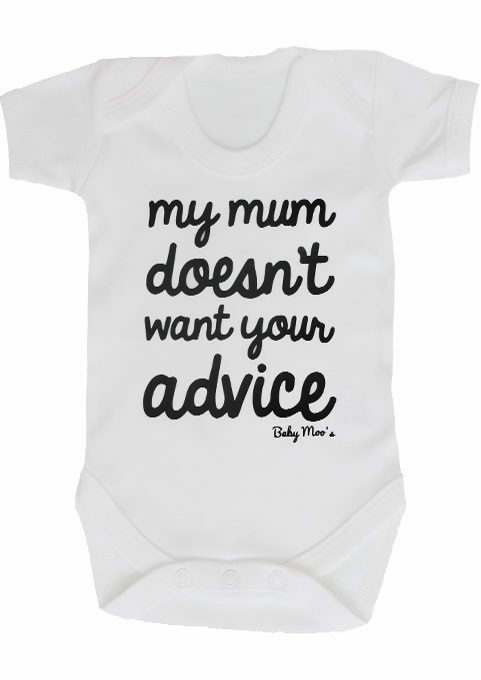 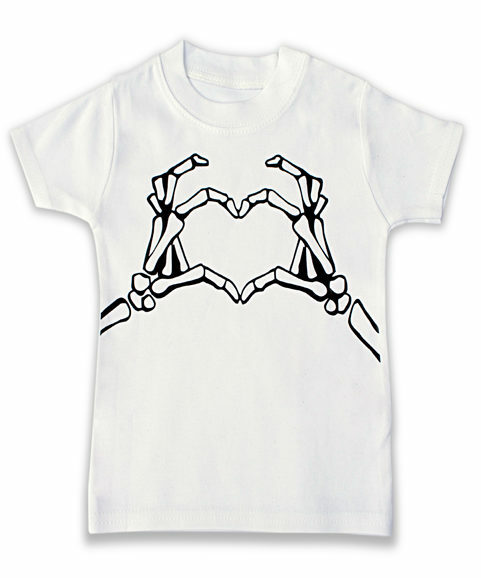 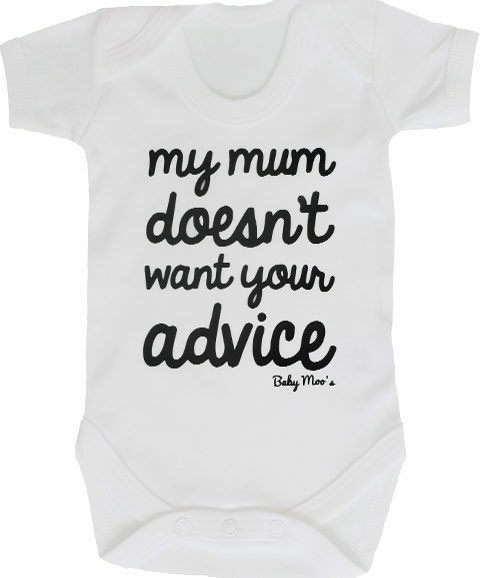 1 x My mum doesn’t want your advice baby grow in any size you choose. 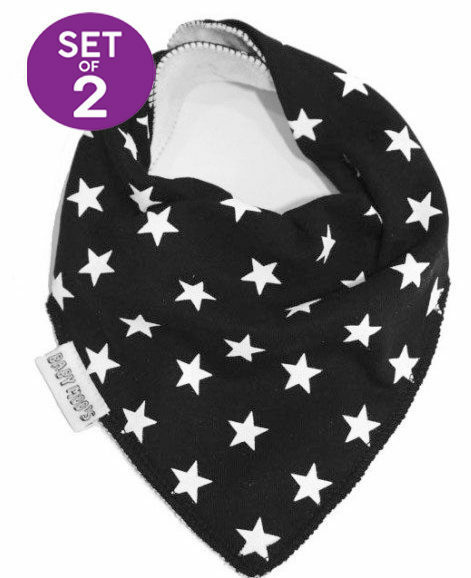 1 x Trendy & twinkly black & white stars dribble bib. 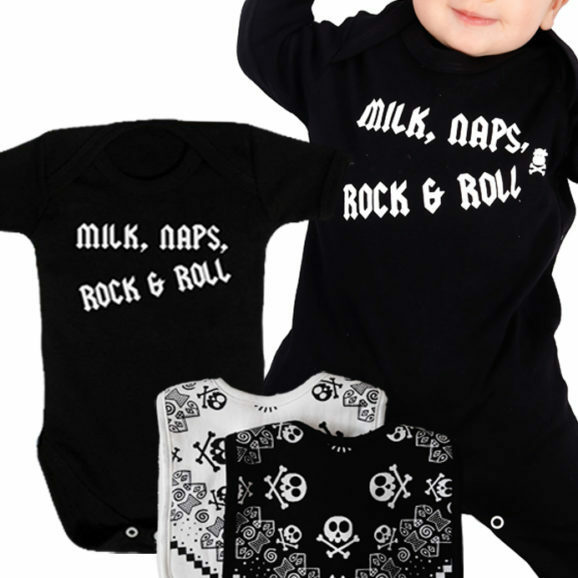 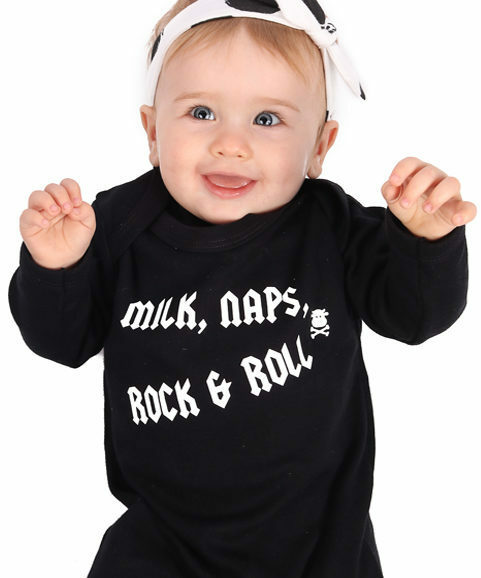 This funny baby outfit set comes packaged together in a incredible organza gift bag ready to give. 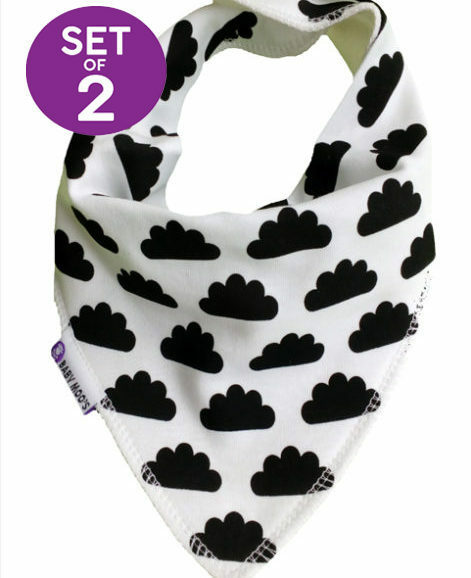 The twinkle black & white dribble bib teams together brilliantly with the baby grow & with its unisex colours makes it ideal for boys & girls, our bandana bibs are award winning & made with a luxuriously soft cotton front, nickle free poppers & stay dry back.